… might make it stronger?! 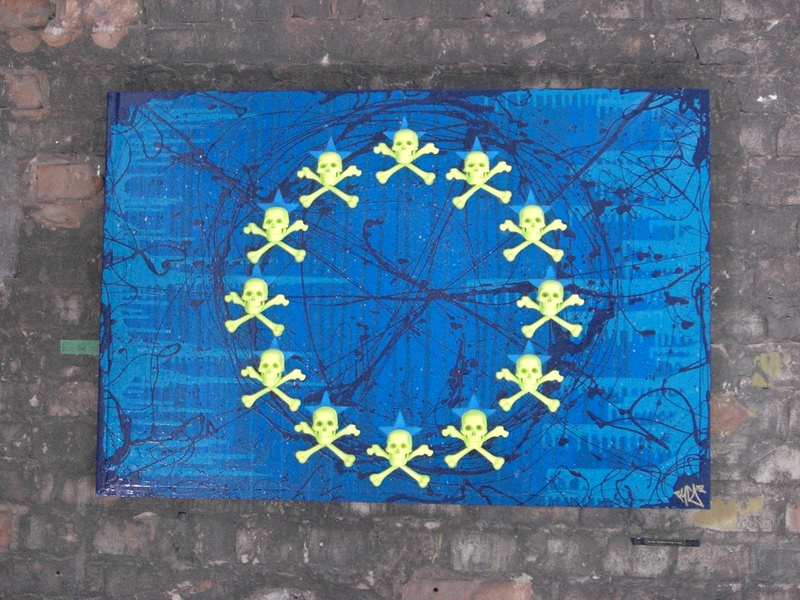 Many are predicting the death of the Euro. Many ‘experts’ say it is impossible for the 17 member nations to agree anything in time to save the single currency and avoid the catastrophic knock-on consequences for the Euro region and the World. I’m always an optimist, but just can’t agree with this apocalyptic prediction. My (version of) common sense tells me that no European leaders wish to go down in history as responsible for the collapse of the Euro, instigating a second recession and quite possibly a global depression. Politicians, eventually & when their backs are against the wall, tend to do the right thing when faced with disaster. Will the Euro go down in history as a failed experiment? A lot of people criticise Germany for not allowing the ECB to become lender of last resort for the PIIGS nations (Portugal, Ireland, Italy, Greece & Spain) but I suspect they know that no politicians in those countries have the necessary courage and judgement to fix their economies and would prefer to pander to their electorates … none of whom are willing to take the necessary pain for problems they didn’t create. So, Germany is being the ‘bad guy’ by forcing economic reforms on nations that want their help. Some believe this is Germany stealing away more sovereignty from Eurozone countries, but it is more likely to be prudent. It may not be democratic, but someone has to force sustainable expenditure on European nations. Other countries call Europe the ‘Entitlement State’ … full of lazy people who want to work just 30 hours per week, who get free healthcare and who retire at 55 in the sunshine. The Chinese won’t save the Eurozone as they believe its welfare systems are fundamentally flawed and labour laws inspire ‘sloth’. Basically we’ve all been spoilt for too long, voting in whatever politicians give away lots of free goodies without wanting to work for them. Europe, as it is now, cannot compete in the global economy. Europeans are not nearly productive enough and have taken for granted their traditional advantages of more advanced science/technology and education. While Europe was asleep and taxing anyone who even thinks about starting their own business to the point where they leave entirely, the rest of the World caught up and have nearly put us out of business. So Europe needs some tough medicine, and it is only the current crisis that is sufficiently scary that the countries’ leaders might actually start fixing the fundamental problems. Europeans have to re-learn what hard work is, not expect to retire for 30+ years on gold-plated pensions and their governments must be prevented from offering unfunded or unsustainable policies to their peoples in order to get elected. Make no mistake, one of the big flaws of democracy is that the electorate feel the economy is someone else’s problem and that politicians will be responsible with their country’s tax revenue. That is, more often than not, simply untrue. My prediction is that Germany and France will push the other nations to the wall, forcing reform upon them if they want to save the Euro and keep their place at the table. Unfortunately this creates a lot of short-term uncertainty, which is bad for business, but I do think that the solution will be found at the last moment. All this could have been avoided had more countries foreseen potential problems, as the UK did, and pre-empt the market by announcing realistic plans for cutting their deficits. As they didn’t, and wouldn’t risk their political careers by doing the right thing, Germany’s only option was to take some power away from the irresponsible politicians that caused this crisis. I think that is fair play, and the German people deserve no less. But more importantly, the Europeans deserve their tax revenues be spent wisely and carefully … and governments who don’t recklessly run up huge national debts. If ensuring that happens costs a little bit of sovereignty, who cares! Surely it is better to have our books balanced by someone impartial than someone trying to get re-elected? !